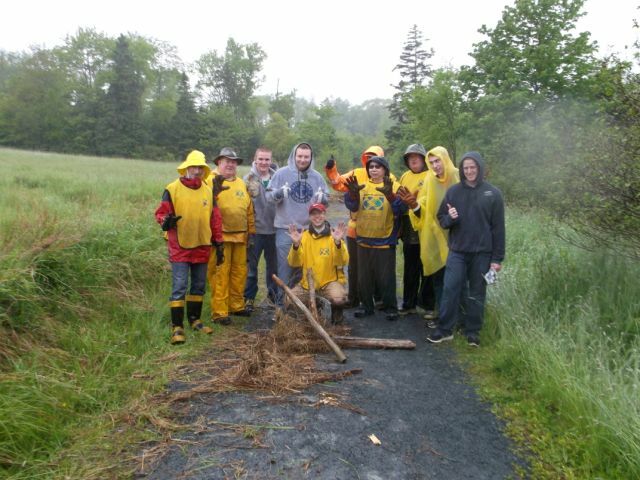 Cole Harbour Parks and Trails Association: Thank-you Volunteers! A big thank you to volunteers from The Church of Jesus Christ Of Latter Day Saints. These brave volunteers ignored the rains to start the removal of old fencing from the Heritage Park which had become a potential hazard to wildlife. 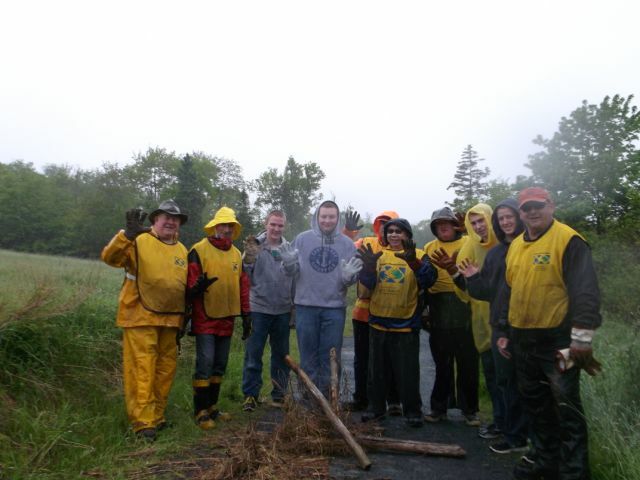 Volunteers are the heart and soul of Cole Harbour Parks and Trails Association. Should you or your organization wish to offer your time as a volunteer with CHPTA please click here contact our volunteer coordinator. Many hands make light work.